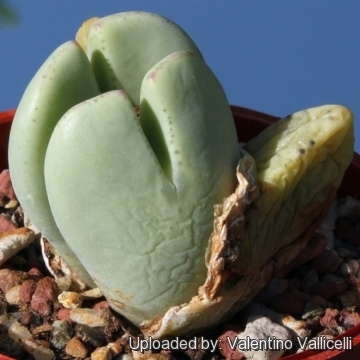 Description: Conophytum bilobum var. 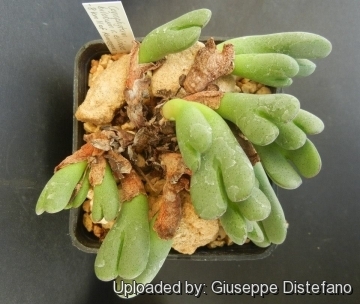 elishae is another large growing bi-lobed species of the Conophytum bilobum complex which comprises many morphological and geographical variant that was early classified as different independent species. Nowadays all this plant are considered part of a multiform species, where each form is linked to others by populations of plants with intermediate characteristics. 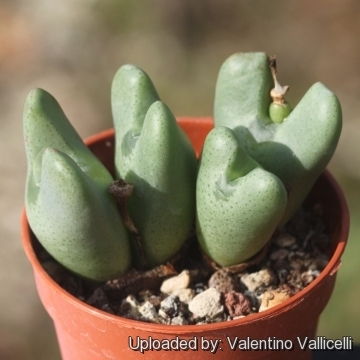 It is a small but robust caespitose (groundcover) plant that resembles a cluster of pebbles often well camouflaged to resemble the surroundings. 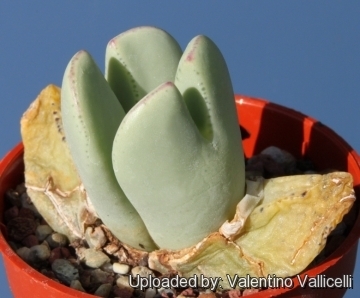 Conophytum bilobum var. elishae distinguish for a transparent zone that can be seen just below the fissure and extends down-wards. The species increases quickly and eventually forms an attractive clump. Bodies (paired leaves): About 2,5 centimetres tall, blue-green. The leaf-tips (lobes) are cleft (V-shaped free in profile) and keeled. A transparent zone can be seen just below the fissure and extends down-wards. The margins are green or purplish in colour. Blooming season: The flowers are autumnal and diurnal. Cultivation and Propagation: It is a "winter" grower which is most active from late winter until later spring and heading for summer dormancy, but in favourable growing conditions it keeps going over the summer too and doesn't need particular care. 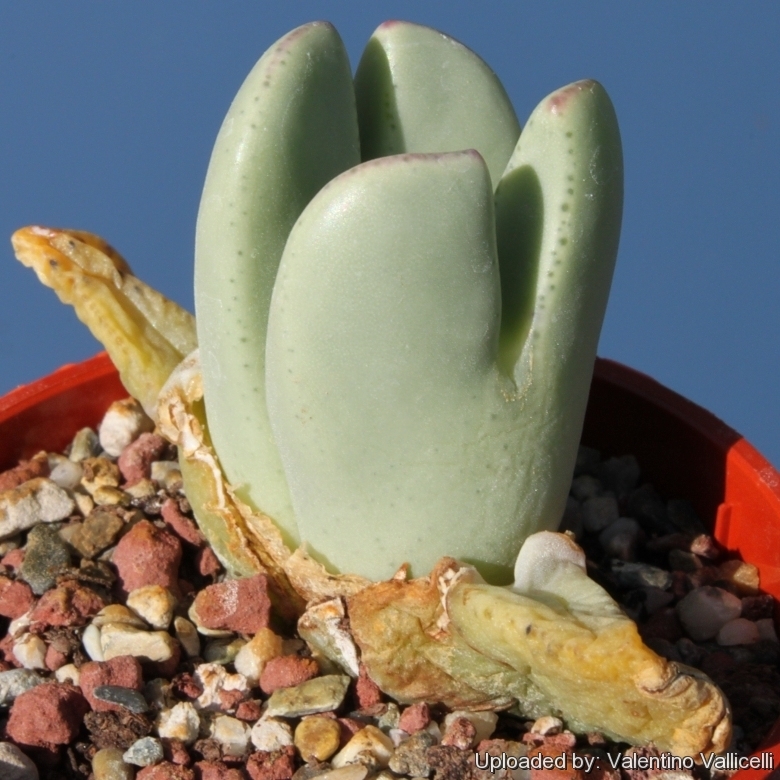 All the forms of Conophytum bilobum are easy to grow.